We just received a certificate – not just any other one – this one is important. We applied for it 16 months ago. After a very long process with examinations, documents and audits, we finally got it! It is the Women Owned certificate. It is important because it will open big doors and accounts. Watch us, now! Gerard, sorry for this. You’ll get the next one! If you are ready to do business with us already, our number is WBE50908-2008. Congratulations on your recognition as a woman owned business! I love your blog and I have stolen shamelessly from it for my own blog. CONGRATULATIONS Martina and everyone. Gustiamo is a treasure, not least because its home is in the Bronx, where I was born and to which I returned after many years. It’s always a true pleasure to do business with you. Such graciousness is rare and the obvious pleasure the owners have in operating the firm are infectious. You can be assured that my family and I will continue to do business with such creative and enterprising entrepreneurs in the months and years ahead. Aha! I knew there was a reason that Gustiamo’s service and offerings are so consistently amazing. 😀 Felicitazioni! 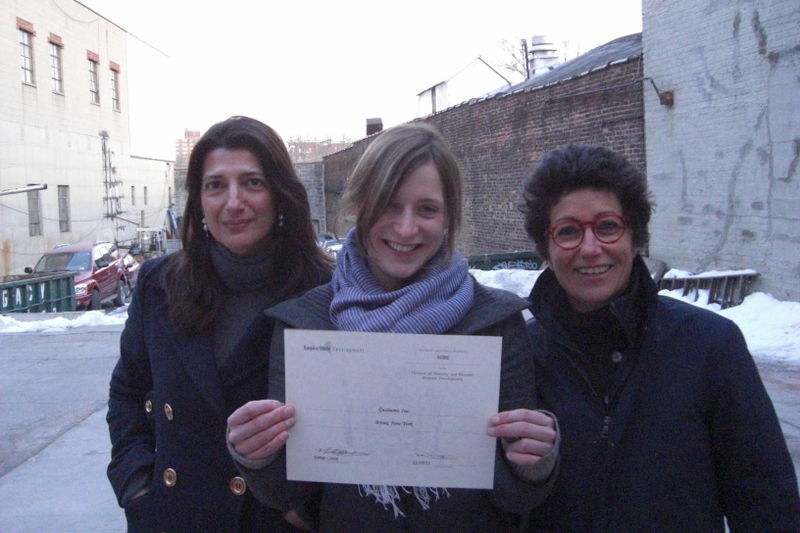 A message of congratulation to the wonderful women of Gustiamo from the women of Provisions International. You are fantastic ! YEPPIE… I AM CELEBRATING WITH YOU. CONGRATULATIONS !! Hearing from Gustiamo is always a pleasure. It’s more like a note from a friend that anything else. It must be the feminine touch. I run a Swedish food website and your newsletters are a great source of inspiration! Ladies! Congratulations and best of continued success and joy!! Congratulations and YOU GO, GIRLS!!!! Congratulations. I love your food, customer service and emails. Thanks! Congratulations. I too am women owned. Or so my wife tells me. Congratulations! “Sistahs are doing it for themselves!” It couldn’t happen to a better more professional group of ladies! All the Best to you, Lady B. and the rest of the gang! this is Nicole’s post in her blog about us, her mother Marcy and her grandmother Rose. and grazie to all the women and men who congratulated us above and in personal emails. perhaps we can also work together? women to women?